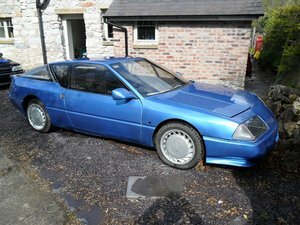 Renault Alpine GTA V6 Turbo (1989) Sympathetically restored car, first registered to Celebrity Chef Michel Roux Jr. (Copy of registration document included.) 12 months MOT from 21/5/18 53,555 Miles from new Black Leather interior, no rips or tears. Upgraded Stereo system. All MOTS, Invoices, work done included in extensive Service and history file. (Full Lever Arch File) Full workshop manual. 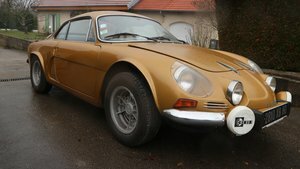 Huge amount of work carried out by Renault Alpine Technical Services (RATS) in Nottingham. 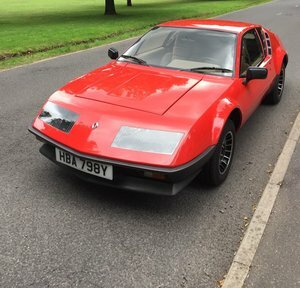 Fully restoration of all metalwork, sub frames, suspension, anything that could have suffered any corrosion, repaired or replaced, as well as full engine rebuild. Wheels as shown in photos, but original wheels included in price. Great opportunity to acquire this excellent example with all the work already done. You can buy with the knowledge there are no corrosion problems, or engine problems. She is fully Mot’d and ready to go.